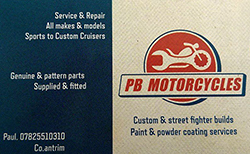 PB Motorcycles is run by and owned by factory trained bike mechanic Paul Braiden. 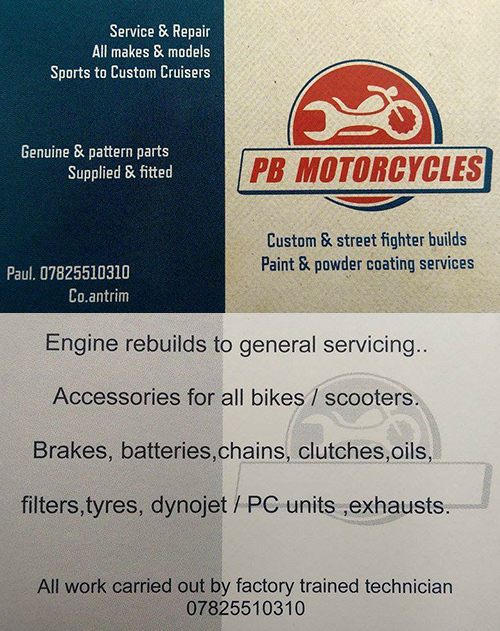 Based Co Antrim Paul offers everything from a basic service, through to full rebuilds, restoration work and custom builds, with painting & powder coating services. Paul also offers full top of the range diagnostics available for all modern bikes (Mobile diagnostics available by pre arrangement) Mot prep work undertaken – Genuine & pattern parts supplied & fitted. 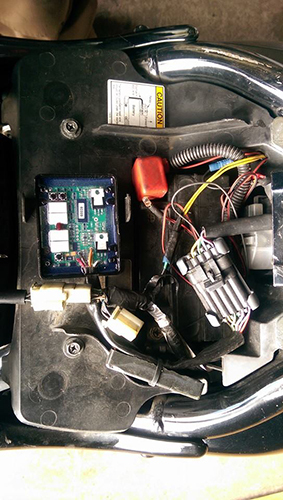 With full workshop facilities for all makes & models. 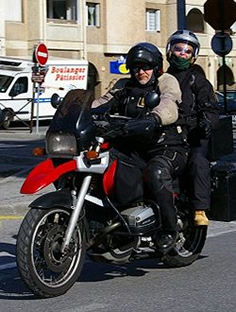 If you require any more info contact Paul via phone – 07825510310 – or on the PB Motorcycles Facebook page. 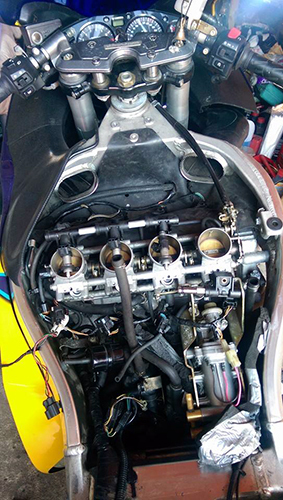 Some pictures of PB Motorcycles more in-depth work!